Roger Hanlon is a senior scientist at the Marine Biological Laboratory in Woods Hole, Massachusetts, and professor of ecology and evolutionary biology at Brown University. He is coauthor of Cephalopod Behavior. Mike Vecchione is director of the National Oceanic and Atmospheric Administration Fisheries National Systematics Laboratory and an adjunct faculty member at the Virginia Institute of Marine Science. Louise Allcock is a lecturer in zoology at the National University of Ireland, Galway, president of the Cephalopod International Advisory Council, and coordinator of the International Union for Conservation of Nature red data list for Cephalopoda. 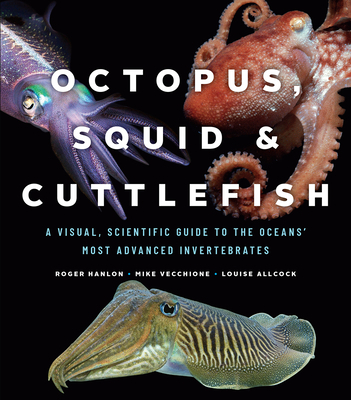 "Cephalopods are often misunderstood creatures. Three biologists set the record straight on the behaviors and evolution of these invertebrates of the sea."